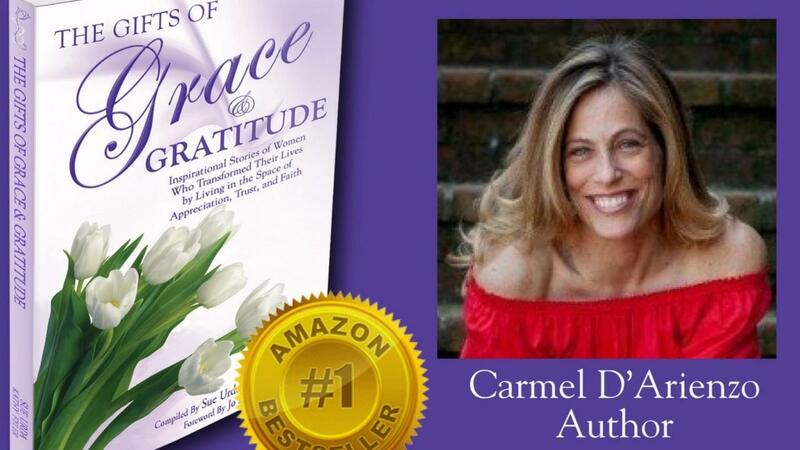 Receive an autographed copy by Carmel D'Arienzo, contributing author in the book 'The Gifts of Grace and Gratitude'. Read her story "The Unexpected Gift of Heartbreak: Navigating Endings and Creating New Beginnings by Being Grateful"
Cost is $24.50 including shipping within the continental United States. To order: create a quick account to track your order and then include payment and shipping information.